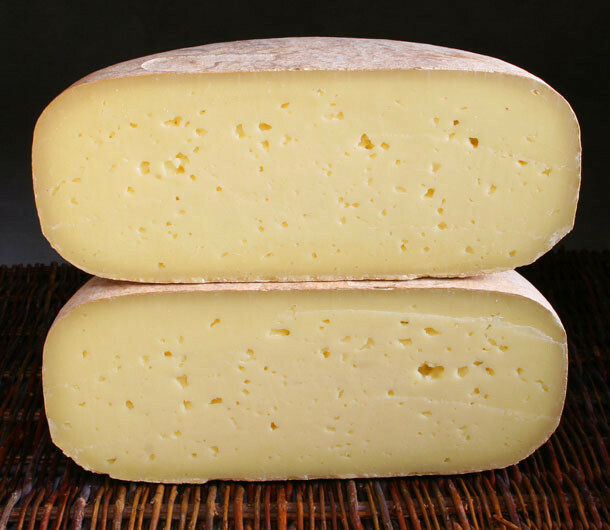 A sweet and nutty cheese, similar to European Alpine cheeses, Ascutney Mountain has a natural rind and a firm, yet creamy texture. It has a deep yellow hue with tiny holes scattered throughout its interior. It is made from raw and rich Jersey cows’ milk from cows that graze on the site of the sustainable agriculture community of Cobb Hill, Vermont. Ascutney Mountain ages 8-10 months to develop its intriguing nature. Developed from a Swiss Appenzeller recipe, Gail Holmes of Cobb Hill Cheese has perfected this award-winning American farmhouse favorite.